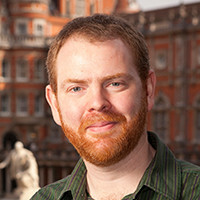 Prof. Nigel Raine appeared in a Mar. 1 Newsweek article about the European Union’s potential total ban of neonicotinoids, a commonly used pesticide. A professor in U of G’s School of Environmental Sciences, Raine told Newsweek there’s evidence that neonicotinoid exposure can affect bees’ behaviour, learning, memory and ability to pollinate and reproduce. Raine studies pollinator conservation, ecology and impacts of pesticides on bees.